Thank you very much! I waited for this so long! Does the above link's downlaod work for XP? Is this an English version? download-speed is 1,4kb/s , should take ... 94 hours to download it. KISSMAD wrote: Is this an English version? Install in a folder with "Z Expansion". Thanks to "Roman Fedorov aka Bugsy" help. So that's not very good now: I get a COPY ERROR if i want to install the game from CD-ROM. I have copied the CD's containing into a folder at my HDD and installed the game successfully from there. If i want to play now, i have a spanish main menu (or whatelse) and i can't start playing because i get an error message "Inserto la CD-ROM en nuova". This is a really bad Expansion of Z ! i give up now. the generalzod site makes my browser crush down, and the cd-rom image i got from the adress posted upon is probably damaged. SpecialPsycho wrote: If i want to play now, i have a spanish main menu (or whatelse) and i can't start playing because i get an error message "Inserto la CD-ROM en nuova". The size patchWZ _ eng.rar 307 K. Even at speed 0.5 kbit/s is required only 10 minutes... In what a problem? Will be not any "Inserto la CD-ROM en nuova". We press the right button (as shown in screenshot). The game is started. I downloaded 20% of the 332mb-z-exp. so far (after 2,5hours^^). Did anyone in this forum already try this version successfully? otherwise I would stop that download and try to get it from other sources. aaand....does it work on XP? you don't, i would like to know if you get the same errors like me. i had a quite good speed of 233 kbit/s. What to do with Z.bin?? How to run this file to setup Z? I dont see any .exe files in Rar archive, only strange Z.bin and Z.cue (that does not work). How do you run Z.BIN? - if there are drivers for your video and sound for Windows 98! 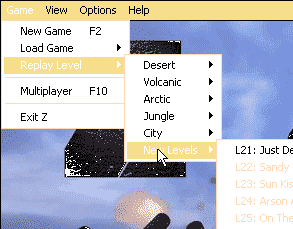 Much more difficultly (but really it is possible) play "Z Expansion" if a video PCI-16 and the sound derivable from MB. I shall not discuss this theme here. One thing, passing remark, - whatever the case it is necessary to switch on the virtual machine Windows 98 the inside XP. Only after that it is possible to play "Z Expansion". At start of any level there is a crash. 320 mB in z.exp.rar - exact copy original CD. Yours of CD-R is not original. The program wants to see the correct source of the data. PatchWZ _ eng.rar has NO-CD (for any version " Z Expansion "). The problem is decided automatically. 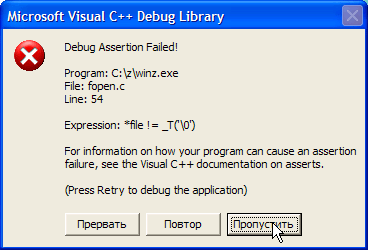 You will not be capable to use CD-R without patchWZ _ eng.rar. As a matter of fact complete version Expansion has the size only 11,2 mB. (All other contents CD has not the relation to game - additional image data, miniature, screensavers etc.). Hmm... It is surprising. Whether somebody else has such problem? In archive there should be a file winz.exe. It is necessary to move this file to a folder with game. Last edited by BallWin on 2006-12-17, 21:10, edited 1 time in total. ZOnline wrote: I dont see any .exe files in Rar archive, only strange Z.bin and Z.cue (that does not work). ОК. Probably there was a mistake at copying a file on the site. I shall try to rewrite. In the given moment FTP server \narod.ru\ does not work If someone can lay out it in the other place I shall be grateful. hmmmm...the download-speed is nearly the same at this source, but it?s quite well , i already downloaded 76% of ballwin?s source. or b)is it possible to install it with daemon-tools (usually it works this way , too)?